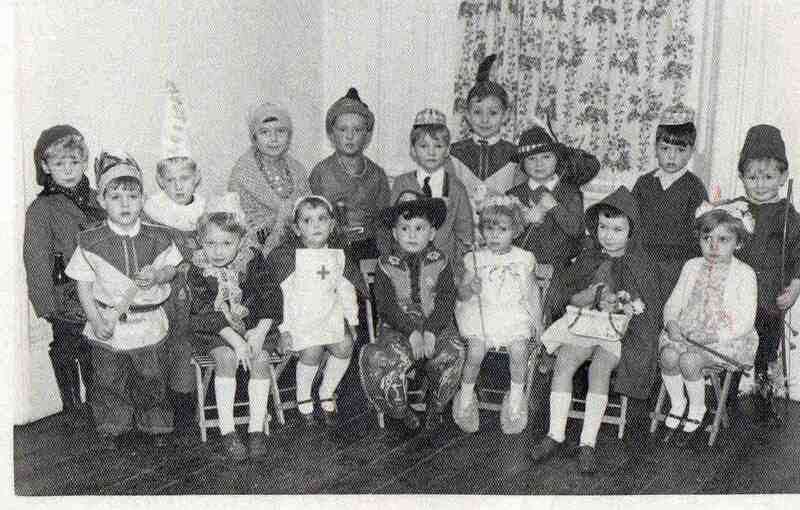 St Giles Sunday School Party – 1966. Can you give any names. See note below. Photo courtesy of Barbara Glossop (nee Sewell). St Giles Sunday School Party. Front row: 3rd from left Paula Glossop, 4th from left Andrew Whewell.